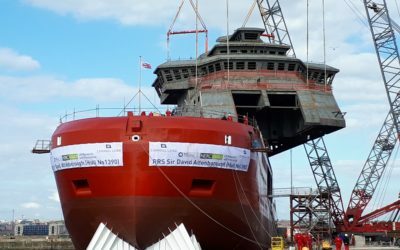 The “stern section” of the new polar research ship for Britain, the RRS Sir David Attenborough, arrived at Cammell Laird’s shipyard in Birkenhead this weekend (27 August 2017). 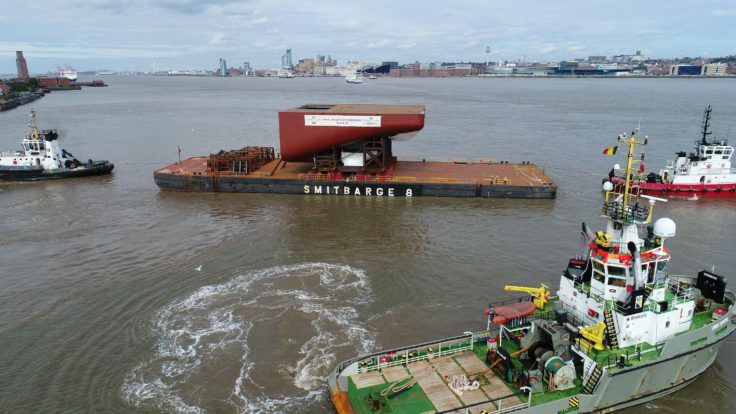 The 899 tonne steel block (known as Block 10) – which is the equivalent weight of 71 London double decker buses and more than 23 metres long and 24 metres wide– travelled 692 miles by barge from Hebburn-based shipyard A&P Tyne (Newcastle). Once securely ashore work will begin on joining Block 10 to its neighbouring blocks under construction in Cammell Laird’s construction hall. 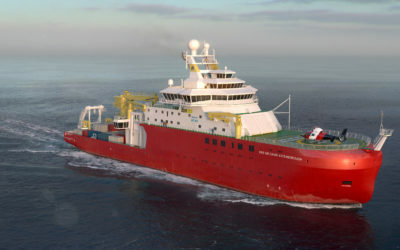 The RRS Sir David Attenborough will be one of the most advanced polar research vessels in the world. 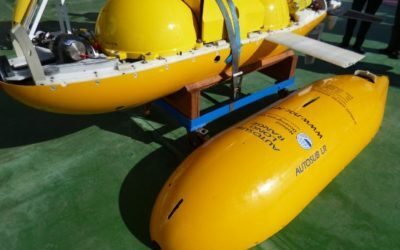 From 2019 onwards scientists researching oceans, ice and atmosphere will have access to state-of-the-art facilities on this floating multidisciplinary research platform. 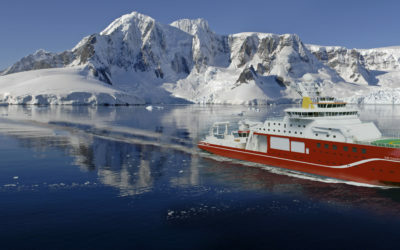 The new polar ship is commissioned by NERC, built by Cammell Laird to a Rolls-Royce design and operated by British Antarctic Survey. 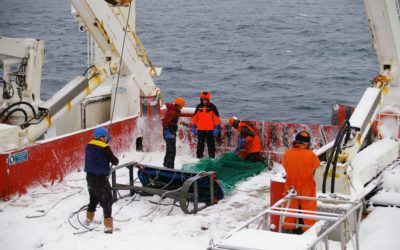 This new research platform will transform how ship-borne science is conducted in the Polar Regions. 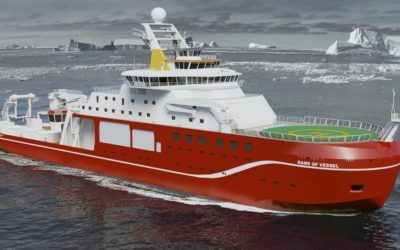 The commissioning of the RRS Sir David Attenborough is part of a major Government polar infrastructure investment programme designed to keep Britain at the forefront of world-leading research in Antarctica and the Arctic.  This £200m commitment represents the UK Government‘s largest investment in polar science since the 1980s. 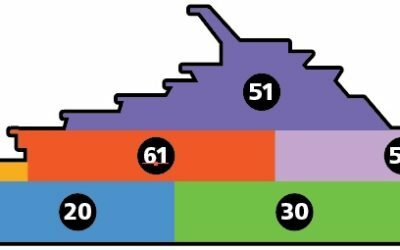 Global ship repair, conversion and marine specialist A&P Group operates seven dry docks across three strategic locations in the UK and has a sister business in Australia that provides ship repair services and support to the Royal Australian Navy. 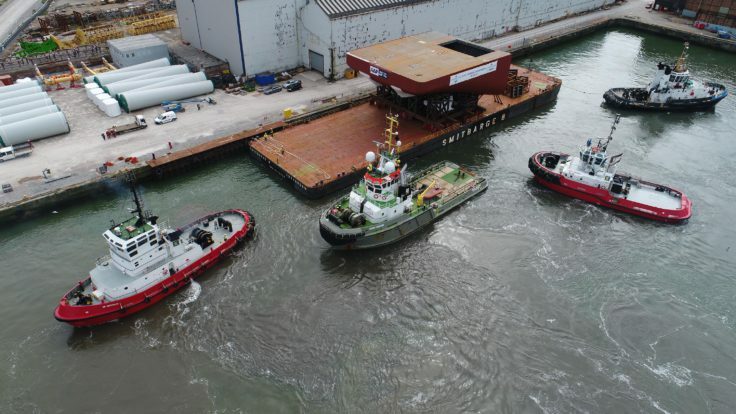 All facilities combine a rich heritage of marine engineering skills and experience, providing ship owners and energy companies with all the precision skills needed to complete the most demanding projects. 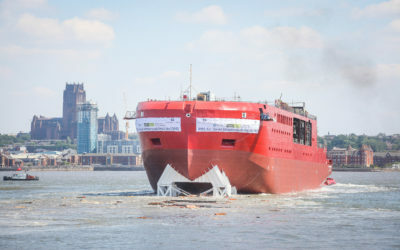 ALE, one of the world’s leading international heavy transport and installation contractors, is providing the engineering solutions and executing the heavy-lifting operations for the block 10 load-out. 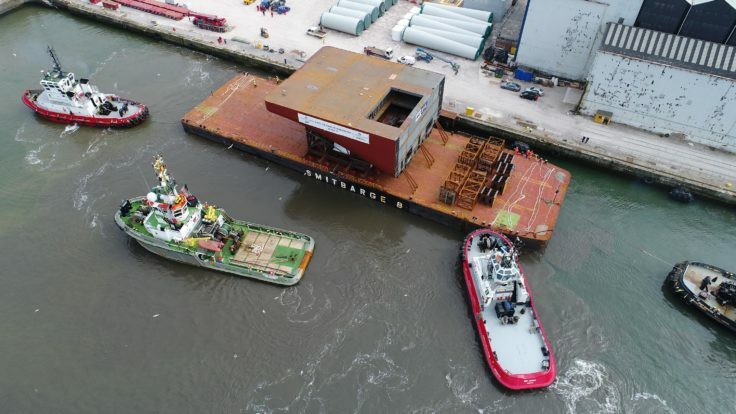 They will use a variety of techniques and equipment to jack-up, skid and transport Block 10 by barge to Cammell Laird. Founded in 1983, ALE is one of the world’s leading international heavy transport and installation contractors with a global network of operating centres and a large fleet of heavy cranes, specialist transport and installation equipment.